Designing as many smiles as possible. The van was packed. We were ready. We had been planning this for weeks. Nevertheless, I must have reviewed the checklist a half a dozen times…with no new revelations. I was a perfect mix of nervousness, excitement… and determination. The team had done an outstanding job helping us prepare for a makeover the likes of which we had never done. This one was going to be a surprise with a very special purpose. We intentionally left the client out of the mix. She attended no meetings, reviewed no visuals… didn’t handle any fabrics. We thought it best to work through her “people” to put this together… and their input was all we really needed to make this happen. This particular makeover story doesn’t begin with an outline of lifestyle objectives or budgets. Instead, it begins with a relationship between two very special little girls… and a family fighting to keep the memory one of those children forever in the design of their lives. A few months prior I had approached the organization Kisses from Keegan & Friends about donating time to do room makeovers for children and families, struggling with the challenges and aftermath of pediatric cancer care. I’ve always believed that the design of one’s surroundings was so much more than a stylistic statement, big reveal, or frantic flip. I believe that meaningful interior design involves creating spaces of real purpose that both could and should inspire and elevate. And I was hoping our resources and ideas could in some way be a fit for this wonderful organization. Having been familiar with their mission and some of the people involved in their important work, I was inspired by the hands-on nature of their approach to helping families. None of the board members are paid and all unselfishly volunteer their time and talents to make a difference. They would never say this about themselves, so I’ll say it for them: They are nothing short of amazing… and I’m a better person every time we’re in a room together. What the founders Paul & Carey Deneke have created, inspired by their daughter Keegan and their family’s struggle with pediatric cancer, is incredible. We are so honored to be involved in their mission. And so was born was the Designing to Make a Difference Program, and the story of our first makeover… with many more to come. And it is my hope that this blog entry helps bring increased awareness to this organization and the ways they rally every day in support of families in need. We first visited Caitlin, Theresa, and little Aubre at their apartment in South Milwaukee in the spring to see the room we could transform. 4-year-old Aubre was shy, but soon warmed up to Paul. He has that effect on people, just ask anyone whose kid he’s coached… or any family he’s helped. Theresa and Caitlin greeted us with hugs and thanked us for coming. We expressed that it was we, who should be thanking them, for agreeing to be the first family for which we had ever done something like this. They had lost their beloved Angel to pediatric cancer in February. She was 13. I knew immediately, as we looked at the pictures of Angel, both before her diagnosis and throughout her treatment, that her recent passing was going to make this experience intensely personal for everyone involved. You want to talk about a “purpose?” How about helping a family heal from a devastating loss beyond words? Want to talk about “meaningful?” How about creating something for a family that both honors and celebrates the vibrant, colorful, and passionate life of the child they lost to cancer? Honestly, that was all the inspiration we needed. Now it was time to get to work. After the initial visit, we invited Theresa, Ralph, and Caitlin (Aubre’s Mother) to meet with us at our design office to talk about the makeover for young Aubre… and to get to know Angel, the amazing girl that had brought us all together. They talked about Angel’s spirit, enthusiasm for life, and her determination, as well as their family motto throughout treatment: “Fight like an Angel”. She was a passionate fashionista, a dancer, a photographer, a cheerleader, a girl scout, and so much more. They talked about how much of an inspiration she was to so many, how much they wanted her to be remembered, and what we could do to help do something special for Aubre. Capturing the spirit of something in a meaningful and creative way has always been an important part of my design process. Something that would describe both the decoration of the room and intent behind the design. The ‘Ultimate Princess Bedroom’ was where we were headed, but the subtle theme that seemed to fit was “Someone to Watch Over Me”. It was going to be such an honor assembling this project for them. By reaching out to our partners at Wayfair, Home Depot, and Hobby Lobby, we found all of the elements we needed to pull it off. Our delivery company, Dreiske Moving & Storage/TH Rogers in McHenry, IL, donated the delivery of the larger items to the home. 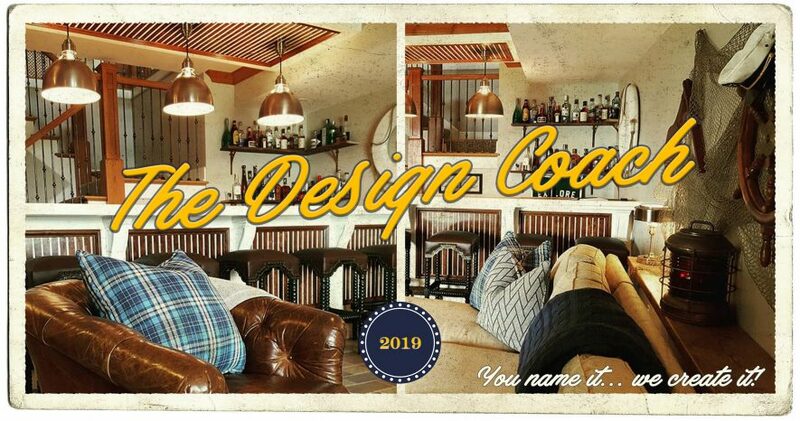 And our team at The Design Coach made sure the personal images and important details provided by the family found their way into the makeover. We were ready to use design to make a difference for this family. The volunteers arrived on time to complete our caravan of creativity and when we arrived at the house I was blown away by the ease with which they worked together. Efficient. Enthusiastic. You would have thought we had done this a hundred times. We could not have asked for a better team! From the assembly of the bed canopy to the installation of the wallpaper princess panels, not only did it come together beautifully… but ahead of schedule. I cannot say enough about the effort these volunteers gave that day. The love, care, and respect for each other and their task at hand was a gift in and of itself. And I can’t help but think that in some small way we were all channeling Angel’s spirit that afternoon. Interiors can have a molecular affect on people if they really mean something. This one sure did. And when I look back at the photos of that day, I realize just how special it is to be a part of an organization that just tries to design as many smiles as possible for families and children going through some pretty tough times. Thank you to everyone involved for helping us put this together! Thank you to Theresa, Caitlin, Ralph, and Aubre for allowing us to share your story. And thank you to Angel. May your memory and example of courage continue to be an inspiration for everyone… and we know you’re watching over us all. For more information about the amazing work done by Kisses from Keegan & Friends, to support their mission, and the Designing to Make a Difference Program go to www.kissesfromkeegan.org.